Note: This article is for users with technical experience. For other users, please contact the ExpressVPN Support Team for direct assistance. Enter your admin password. You will not be able to see which characters you input so type carefully. Your host file will be loaded onto Terminal. Use the arrow keys to navigate between lines in the file. You will need to flush the existing DNS cache for the entries to be effective. 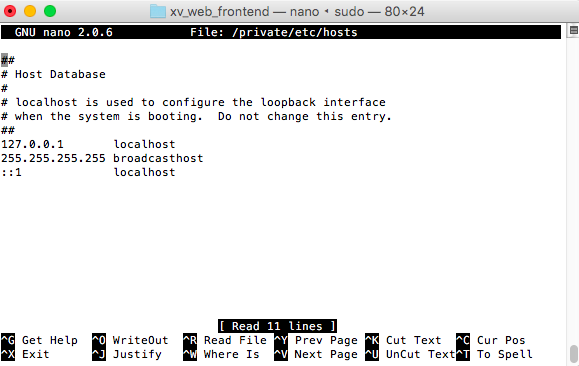 See instructions on flushing the DNS cache. Need help? Contact the ExpressVPN Support Team via Live Chat for immediate assistance.